An award-winning institute that offers quality education to students from around the world. The programs at MEGA provide students with a solid foundation in business techniques and gives young adults the tools they need to work in their chosen discipline. 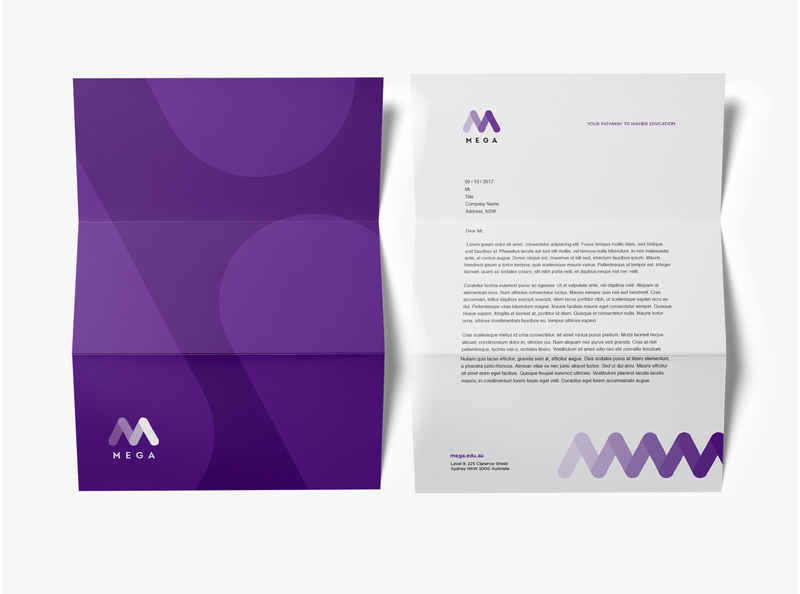 MEGA required strong branding and a professional image to match the exceptional services they offer. 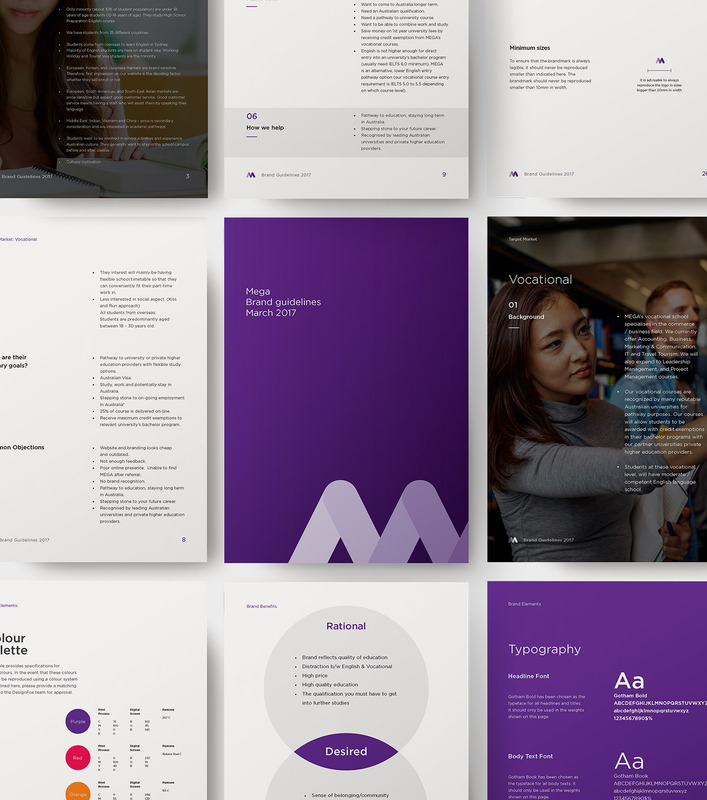 The new ‘M’ in the identity symbolises the connecting pathways to a higher education and the logo is designed make an impact.